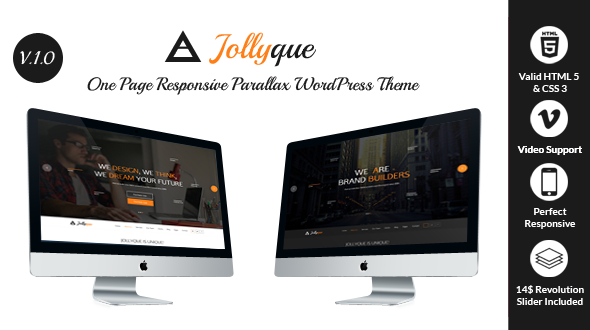 The Jollyque HTML5 website template is a custom design parallax effect yet powerful solution for displaying artwork. The Jollyque HTML5 template features a fully responsive framework that looks fantastic on any mobile device and retina display ready for high-quality resolution graphics. This template suitable for photographers, designers, graphic designers, showcase sites small business sites etc. It contains custom portfolio layouts and custom blog template layout options and 13 valid HTML5 page templates. Also we builded white and dark version for our dear clients.